There were eight new titles and one updated title released to Complete Core in November 2017. There are now 1196 titles in the Complete Core collection. If you subscribe to this package, see a full title list in your Admin account (log-in required), or check it out on our corporate site. If you're interested in upgrading your account to the Complete Core package, email learnmore@credoreference.com. 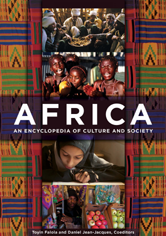 This encyclopedia will provide readers with an overview of contemporary customs and life in North Africa and sub-Saharan Africa through discussions of key concepts and topics that touch everyday life among the nations' peoples. 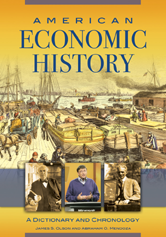 A study of the U.S. economy is important to understanding U.S. politics, society, and culture. To make that study easier, this dictionary offers concise essays on many economics-related topics. Entries cover a broad array of pivotal information on historical events, legislation, economic terms, labor unions, inventions, interest groups, elections, court cases, economic policies and philosophies, economic institutions, and global processes. 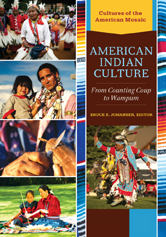 American Indian Culture: From Counting Coup to Wampum is organized by cultural form (Arts; Family, Education, and Community; Food; Language and Literature; Media and Popular Culture; Music and Dance; Spirituality; and Transportation and Housing). Examples of topics covered include icons of Native culture, such as pow wows, Indian dancing, and tipi dwellings; Native art forms such as pottery, rock art, sandpainting, silverwork, tattooing, and totem poles; foods such as corn, frybread, and wild rice; and Native Americans in popular culture. 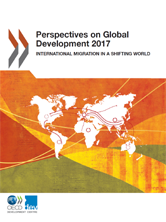 Perspectives on Global Development 2017 presents an overview of the shifting of economic activity to developing countries and examines whether this shift has led to an increase in international migration towards developing countries. The report focuses on the latest data on migration between 1995 and 2015, and uses a new three-way categorisation of countries. 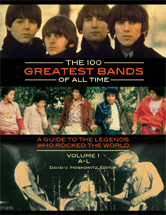 From the Everly Brothers, to the Ramones, to Public Enemy, the work covers a wide variety of styles and genres, clearly illustrating the connections between them. Entries focus on the group's history, touring, membership, major releases, selected discography, bibliography, and influence. 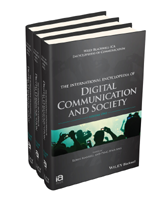 The International Encyclopedia of Digital Communication and Society offers critical assessments of theoretical and applied research on digitally-mediated communication, a central area of study in the 21st century. 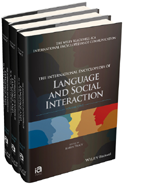 The International Encyclopedia of Language and Social Interaction is an invaluable reference work featuring contributions from leading global scholars that successfully brings into a single source, explication of Language and Social Interaction work developing globally and across subjects. 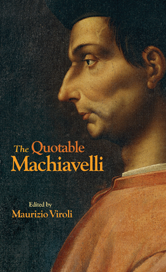 In The Quotable Machiavelli, Maurizio Viroli, one of the worlds leading Machiavelli scholars, offers a rich collection of the Florentines most memorable words on a wide range of subjects, including politics, the human condition, religion, love and happiness, antiquity and history, patriotism, and virtue. * This title is not included in the "Multisite" version of this package. Subscribers to Complete Core Multisite should see this page.